Kayaks only, expect to get wet. Great for those with limited time. Has the most rapids. 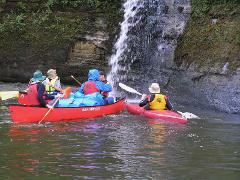 Enjoy the upper river and overnight camping. 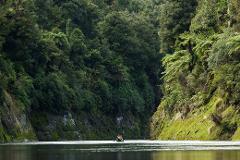 Rapids, overnight camping, Whanganui National Park. Our most popular trip. A 4 day ride, this starts at Ohinepane and goes through to Pipiriki. Combining the best of the rest. Cherry Grove to Pipiriki.